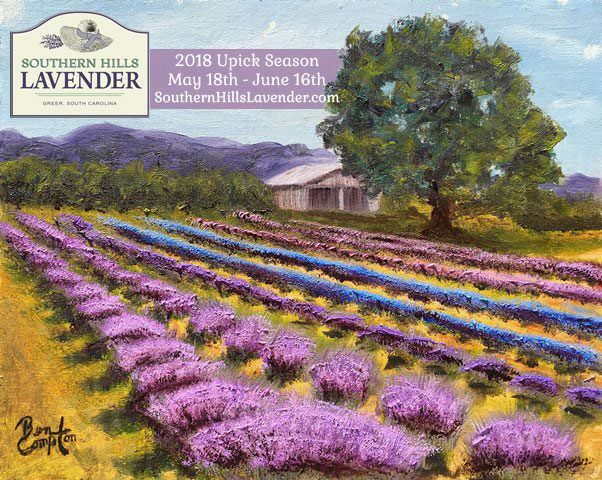 The lavender fields were swaying in the wind as the season’s first UPick walkups arrived with scissors in hand, ready to pick the summer’s first bundles of lavender. Tim and Mary Bergstrom are both originally from South Carolina. 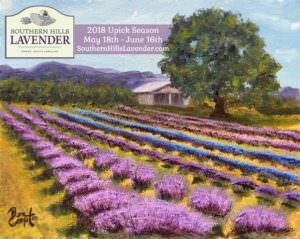 They started their journey with lavender in 2010 and searched for just the right place. They planted their roots here in Greer. They gave the team at Greer Relief a call in 2016 with a small idea that turned into something huge. They scheduled one UPick day and the price of entrance was a donation for Greer Relief. Thousands of people came and with them came thousands of cans of food. The Greer Relief team was amazed. “I’ve never seen anything like it, and I doubt I’ll see anything like it again, truly a if you build it they will come moment,” said Caroline Robertson. On that day, a fantastic relationship was born. Each year Mary and Tim always want to do more, and 2018 was no different. This year $2 of each UPick walkup was donated to Greer Relief. A total of 1,400 people walked up, which raised an incredible total of $2,800. In addition, Mary and Tim continued the food drive which is always needed during the summer months. For 80 years, Greer Relief has been providing safety net services for those in need in the Greater Greer area. The organization was founded in 1936 and is the oldest 501(c)3 non-profit in Greer. Greer Relief assists working poor and fixed income residences in the Greater Greer area by providing services to eliminate poverty by helping neighbors overcome barriers for success. 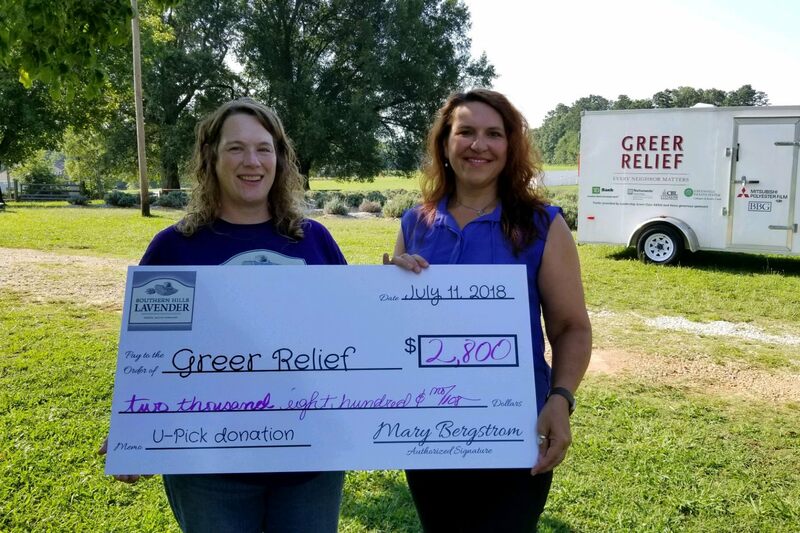 Greer Relief is supported by the local community including support from the United Way. For more information, visit www.greerrelief.org, call (864) 848-5355, or stop by the J. Verne Smith Center at 202 Victoria Street Greer.